On a Wednesday night, I saw the much maligned Giacomo Variations. I do understand why McCallum would be so scathing of the show. Perhaps he should have instead gone to Minto to see Minto Live (or, as the locals would call it, Minno Live). 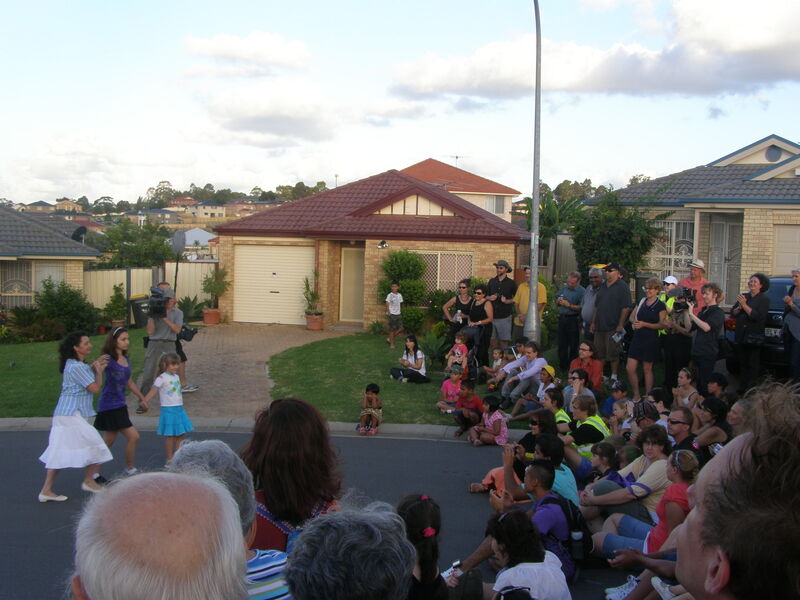 This event was an interesting and refreshing mix of locals and imported performers doing their thing on the streets of the much maligned suburb. Tellingly, the streets where the performances occurred were the new, freshly redeveloped streets of the suburb. 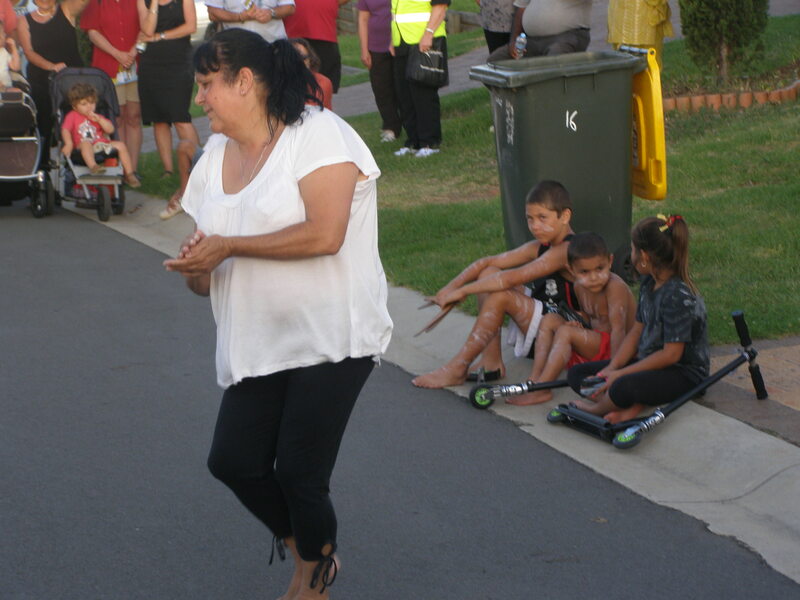 We saw locals sing, dance and gain a sense of pride in their suburb. As well as have an audience of between 300 – 400 see it. Here’s three images I particularly liked. Ever wanted to dance in your front yard in front of hundreds? 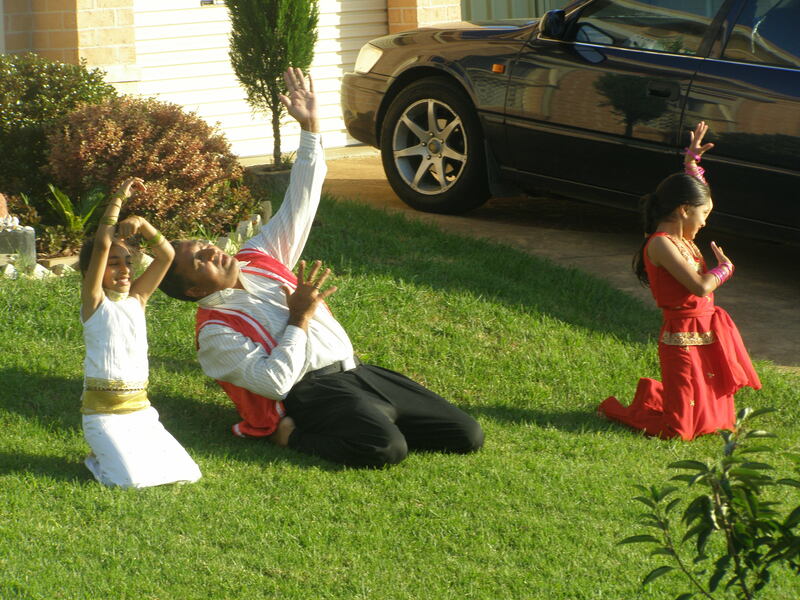 Turn on the car radio and dance in the street like this family. 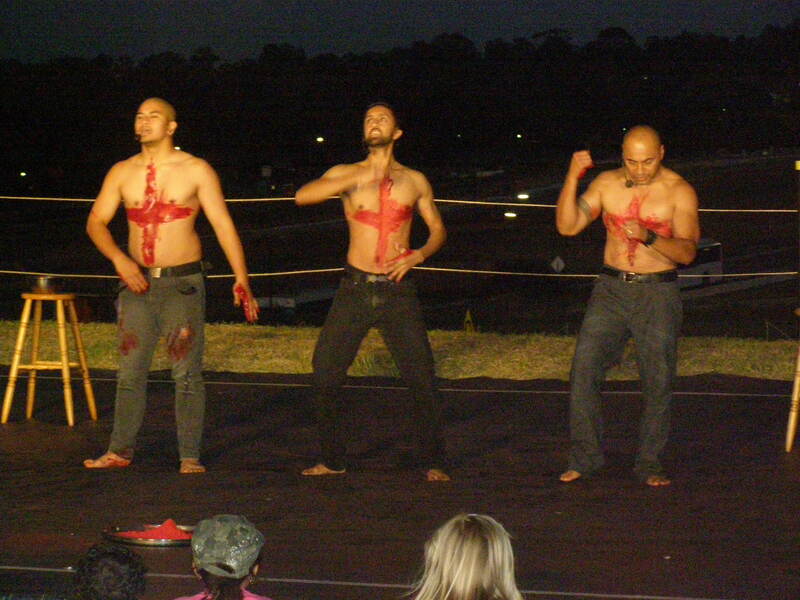 They showed just why this event was a winner – people really appreciated the effort the locals had made in preparing their dances and connected on a personal level with the concept of freely expressing yourself in front of a crowd. The next picture is of an indigenous local who wanted her dance to cleanse the area of the heartache associated with death and domestic violence from the past. Cleansing the area of its heartache. I was walking next to the performer of the cleansing dance, who was very excited about having completed her dance, feeling joy and affirmation for their lives from the gathered crowd – affirmation I don’t think she’ll forget. I saw this performance the night after spending nearly $100 to barely hear John Malkovich speaking above an orchestra. The contrast was stark. Malkovich, by contrast with these dancers, didn’t like giving interviews or interacting with Sydney on any level. The other performance, by Ten, asked the crowd to think about their cultural heritage and used paint and dancing to do that. It was a challenge for a number of children present to maintain interest during the talking elements – but for the most part, it was engaging, funny and it resonated with the culturally diverse group of locals and visitors. Mixing cultural heritage with the St. George Cross was a very interesting concept. This was the Sydney Festival as it should be, in some respects. 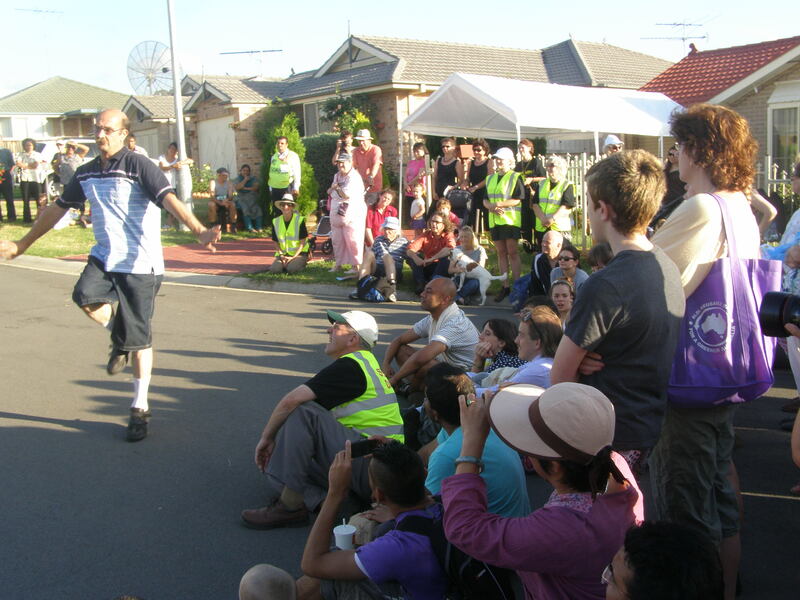 It went out into the community, collaborated with locals and produced a very enjoyable, free event. I hope there is one of these collaborations every year. It is as far from European costume foolery and Eddie Perfect’s sharp social commentary as you can get – but it was still a nice night out. I’ll end this blog with a picture that summed up the spirit of Minto Live for me. 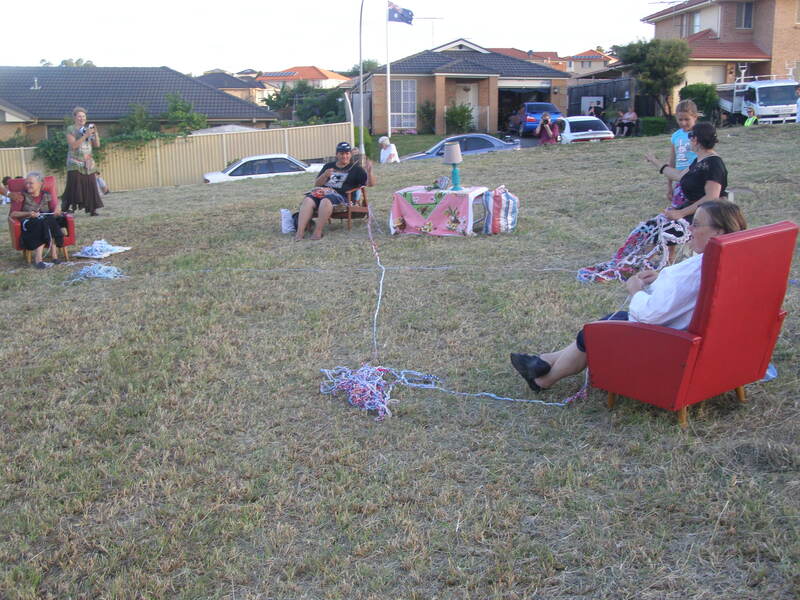 Taking the knitting circle outside.